The art of Bonsai has ancient roots, and has been practiced in Japan for over a thousand years. But the creative power of the craft is as strong as ever. Contemporary technology has inspired new possibilities for creators and artists. For these innovators, the traditional rules of bonsai are just a starting point. Read on to discover some of the most revolutionary and unorthodox ideas in bonsai today! Botanical sculptor Makoto Azuma has an impressive record of taking plantlife in directions that others could not imagine, but for this project he went where no bonsai had been before. 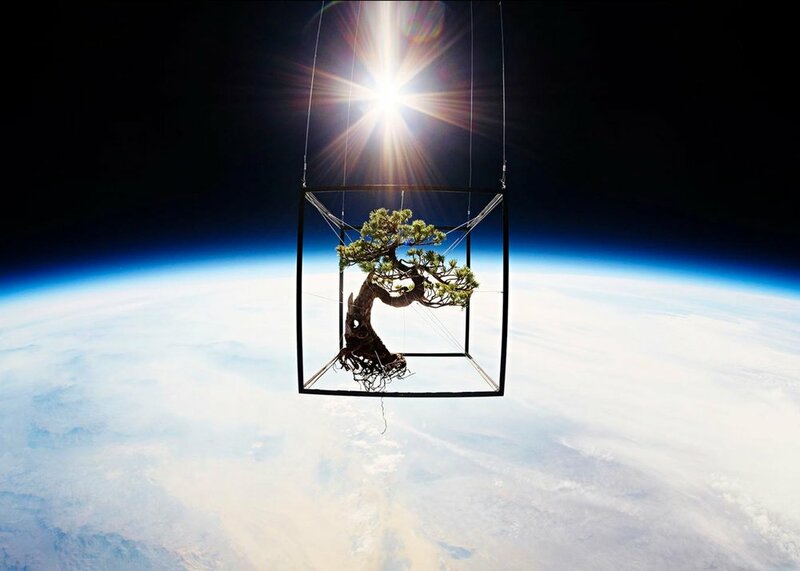 Fixed into a rigid carbon fiber frame, and attached to a helium ballon, this 50-year old white pine bonsai tree was launched into the stratosphere, topping out at 30,000 meters, about 19 miles, into space. There can be no bigger contrast with the tightly restricted spaces of the pots in which bonsai are cultivated. Several GoPro cameras also made the journey, capturing some mind-expanding images of the tree silhouetted against the spinning planet below. Every stage of the ascent was carefully documented and to great effect! At the project’s website, exobiotanica.com, you can witness the bonsai’s travels frame by frame. You can even purchase your favorite, which will be signed by Azuma himself and delivered to you. Quite a unique gift for any bonsai fan! In Japanese arts, the Floating World is usually used metaphorically to refer the pleasure districts and culture of Edo Japan. But at Hoshinchu they took it quite literally, and created these magnificent bonsai displays that defy belief! Connected with the mains electricity, the base generates a magnetic field. By carefully balancing bonsai tree on top, it can be made to float, and even spin, in mid-air. This idea was launched last year, to great success. You can get your hands on a set yourself by visiting hoshinchu.com. The bonsai tree itself is unfortunately not included, due to legal restrictions on export from Japan, but then, creating a bonsai tree for yourself is most of the fun isn’t it? 36-year old Masashi Hirao is on a mission. Concerned about the ageing demographic of bonsai practitioners, his goal is to reach out to younger people around the world, by turning the usually solitary practice into a performance art. Using live music to add a rhythm to the creative process, Hirao draws out the energy and vitality of working with living sculpture. More importantly, his example impresses on the eager crowds that bonsai is a creatively thriving artform. 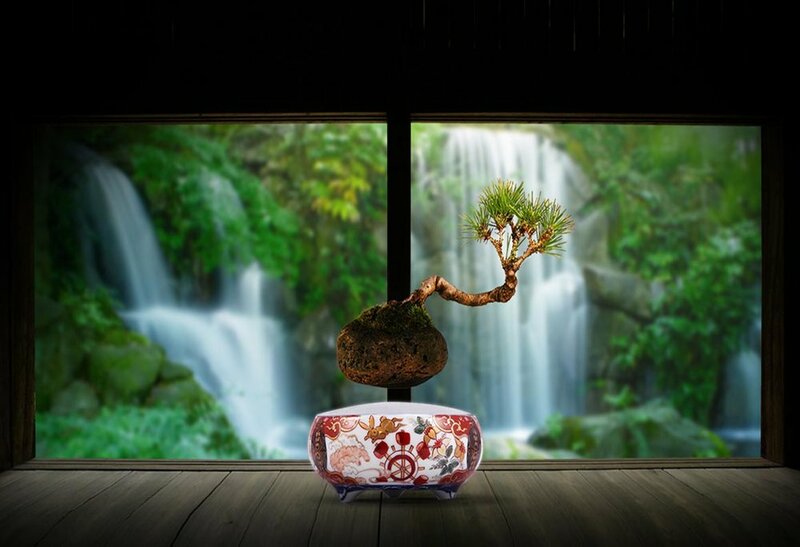 Hirao believes that by placing the bonsai trees in unexpected places – bars or clubs for instance – bonsai can shed its exclusive image, and gain a following beyond its traditional home. Where to See Traditional Bonsai? These creators are doing some fascinating work. 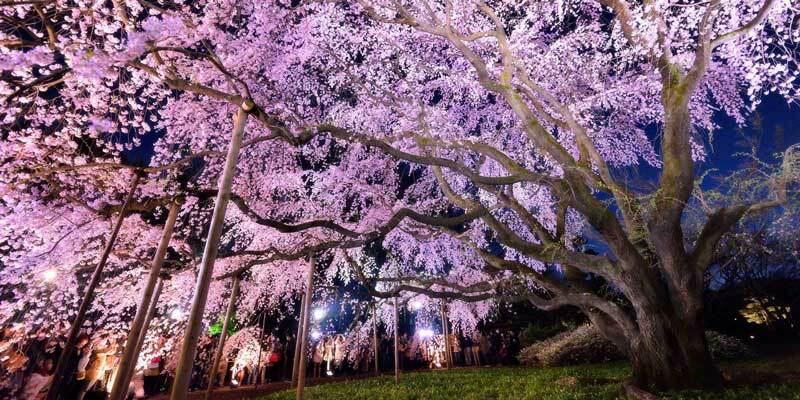 But if you want to see some fine examples of bonsai that inspired them all, why not try visiting the Omiya Bonsai Art Museum, about a 50 minute train journey from central Tokyo. Open: 9:00-16:00, closed Thursdays. See more details here.